When I first went vegetarian in my suburban town, I had to spend hours at the supermarket reading all those labels and trying to make sense of the ingredients. Of course, this was the era before Smartphones. Now, there exists an app for just about everything – including helping vegetarians do their grocery shopping. 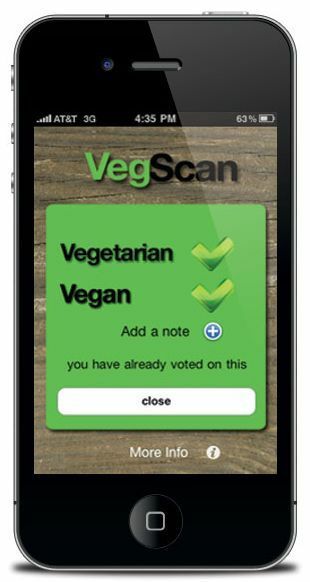 Veg Scan app: This is by far the coolest vegetarian app. You just hold your phone up to the ingredients and it will scan them, letting you know if the product is vegetarian or vegan. Cruelty Free app: This vegetarian app isn’t for food, but rather lets you know whether cosmetics, cleaning products, and personal care items are cruelty free.